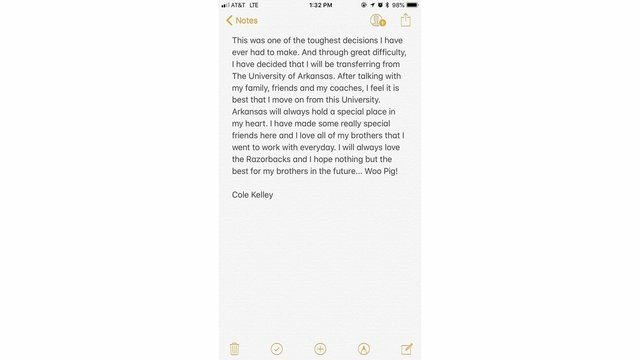 Arkansas quarterback Cole Kelley is transferring from the program. The sophomore quarterback lost his starting spot to Ty Storey this season. He played in 9 games this season and missed the final two games of the season. Kelley completed 35 of his 67 passes this season, with 5 touchdowns and 5 interceptions. He rushed for 3 touchdowns as well. The quarterback announced his decision to transfer on Twitter saying, “this was one of the toughest decisions I’ve ever had to make.” No word yet on where he will play next season.